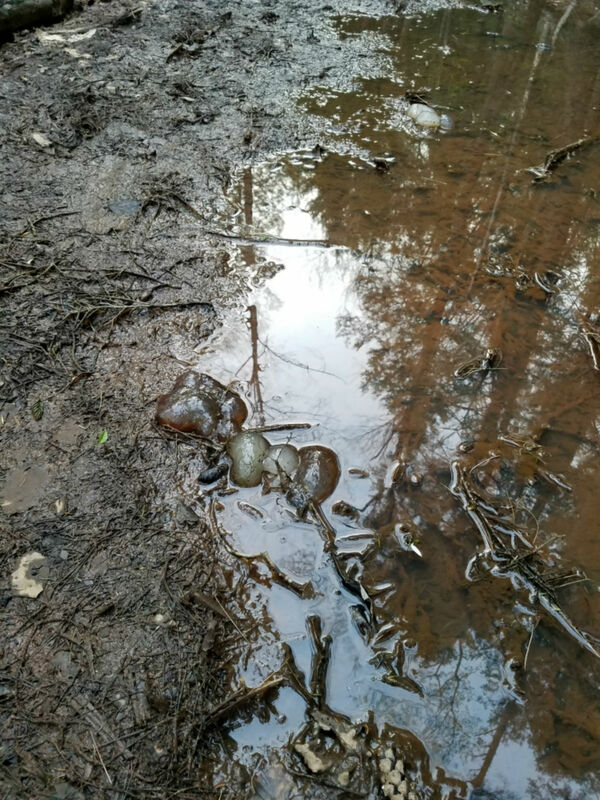 Exploring the woods of the Adirondack Mountains, this gelatinous blob was found near the edge of standing water on a logging road. The entire length of this thing is probably just under 10 inches and it seems to be about an inch thick (didn't measure). The road was used about a year ago, maybe more, and has existed for quite a while. The puddle doesn't really drain, so it's there most of spring and whenever there's a lot of rain. There's not much human activity around this spot. Upstream of it is more forest for many miles. Of course being a logging road and a place where a photo was taken, there is some human influence and potentially petrochemicals introduced. What could this blob be? My first guess is poop but that doesn't seem to be the case because from what I've seen with dog poop it gets liquefied and dispersed by rain and water, not turned into globs like this. Beyond that, I have a hard time making any concrete guesses. A mountainous jelly fish? Maybe some kind of bio-chemical reaction from a few different 'ingredients' in the puddle? 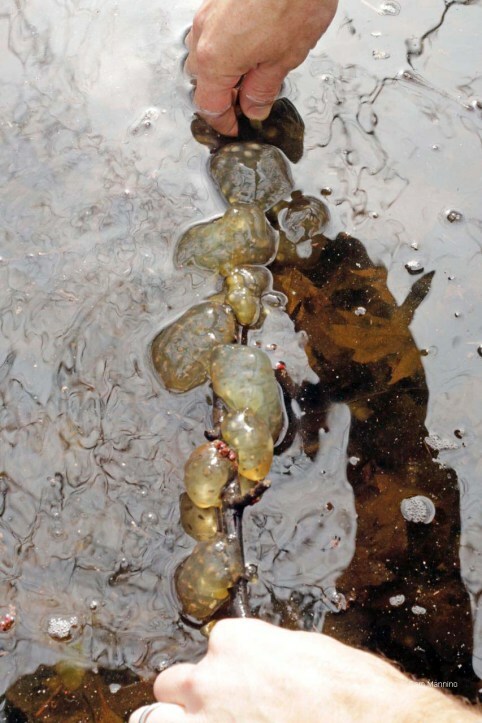 The pool of water they are in is called a vernal pool. Amphibians and other woodland creatures take advantage of these temporary pools while they last. Not the answer you're looking for? Browse other questions tagged united-states animal-identification forests or ask your own question. PICTURED - What causes this sort of clearing? Why is it undesirable for the New Forest to convert to a mature forest?